Our company was incorporated in Malaysia on 30 October 1989 as a private limited liability company and was subsequently listed on the Main Board of Bursa Securities on 28 April 2011. 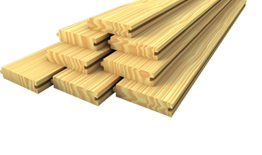 Our principal activities are manufacturing and sale of plywood, veneer and Laminated Veneer Lumber (“LVL”), and investment holding. Plywood is the core product, generating the bulk of the Group’s revenue.